Right. Let’s get the obvious out of the way. So then, for both of you still here, let’s get to the point. You will be able to customize the name of each of your pets. This name will appear in battle. Once my enthusiasm for inventing new pet names had waned, the full horror of the task ahead finally sank in. I have to rename 185 of them. I could not even imagine renaming all my pets and I only have 143. I do however know the “team” of three I plan you use. Murkimus the gladiator, tiny sporebat and snowshoe rabbit will be my team. Murk has a shield, so he has to play tank. 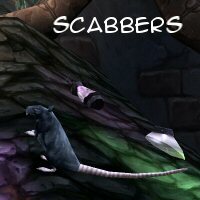 Sporebats are the best hunter pet in the game, don't believe me, go to youtube and type in best hunter pet and watch and see. Then there is the sweet and innocent rabbit will turn into something out of monthy python and the holy grail for the win. It is a winning team without a doubt. Doesn't mean I could ever give them names even if I thought up a team and the reasoning's behind having them on the team. I do not envy you if you actually plan to name them all. I only have 117 and that's scary enough. I'm glad I read The Grumpy Elf's comment, whew. Need to go pick my team. I will only name my favourite pets. I am a collector and I do have favourites… I do have pets I dislike (like anything that came out of the egg from Oracles that was of white quality!!!! ).